Apple has led today’s gilded age of smartphone technology with its innovative and inspiring iPhone series launched back in 2007. Even five years later, Apple’s iPhone line still provokes imagery of bold creativity among a wide and diverse consumer base that includes some of the world’s top photographers. 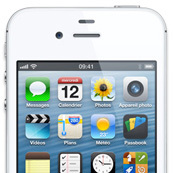 Leibovitz’s perceptual image analysis of the iPhone 4S are verified by DxOMark Mobile’s engineers. They noted the 8-megapixel embedded sensor aids the 4S in producing pictures with far better image quality than its predecessor, the iPhone 4. The 4S is particularly strong at producing rich colors and well-balanced exposures in most lighting scenarios, including for some low light conditions – this extended to the device’s video. This was further evidenced by the mobile device’s dynamic range performance, where it performed better than most cellphone cameras at capturing details in dark shadows and highlights. The Apple iPhone 4S, while achieving one of the best scores on DxOMark Mobile, wasn’t perfect in every image quality category. Its still image white balance was occasionally guilty of producing a reddish color cast. In video mode its autofocus only worked in trigger mode and was vulnerable to some unflattering lens breathing. Good overall image quality in lighting conditions above 20 lux (or dim restaurant lighting). Praise-worthy color reproduction and even exposures under most lighting. Excellent detail preservation, even in difficult dim lighting. Striking dynamic range, with good detail preservation in high contrast environments. Apple iPhone 4S’ video exposure and color production are more than satisfactory. Commendable video stabilization in outdoor settings. White balance produces a reddish cast under low light incandescent illuminants. Luminance noise can be a bit strong in low lighting. Underexposed images in very low lighting (below 5 lux), but a common flaw among nearly all mobiles. The device’s video is susceptible to the jello effect. Video stabilization quickly deteriorates in indoor and low light settings. Video autofocus only works in trigger mode. Vulnerable to large lens breathing. Video produces strong noise in low light with an unpleasant chrominance component.